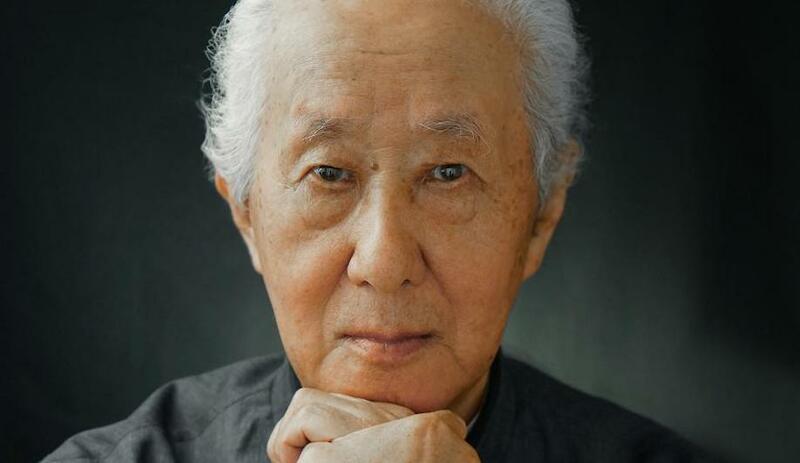 The flagship for leading porcelain-producer Maruhiro in Hasami, Japan. 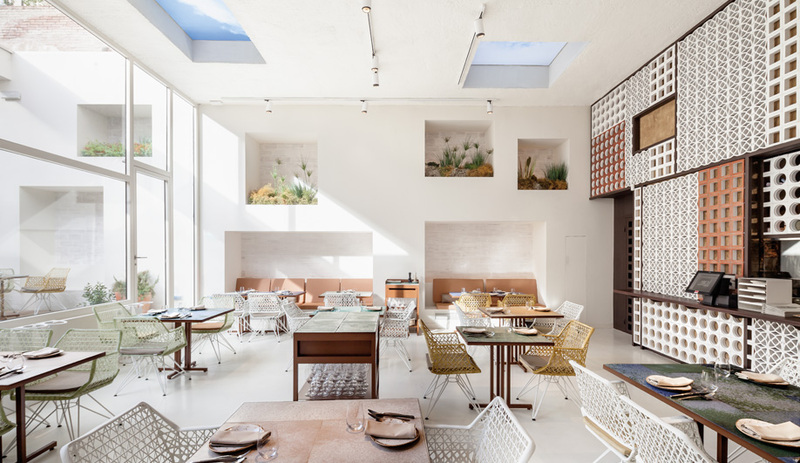 The airy dining space and patio of Barcelona restaurant Disfrutar. 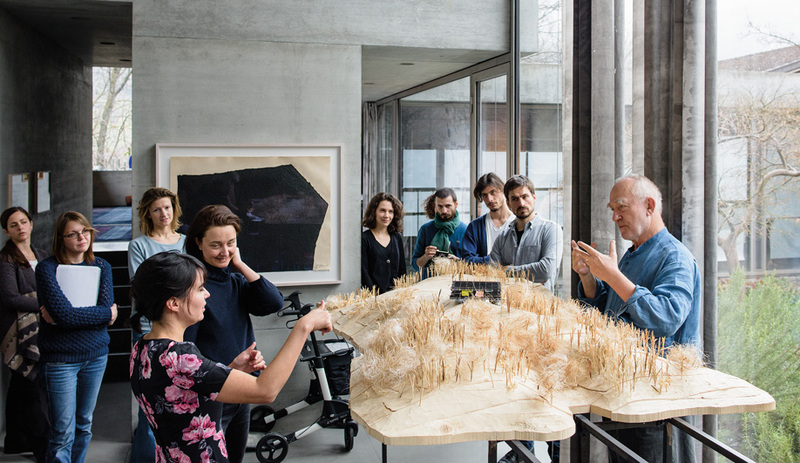 Architect Peter Zumthor with his protégé Gloria Cabral (left, front). New York School of Interior Design, New York. 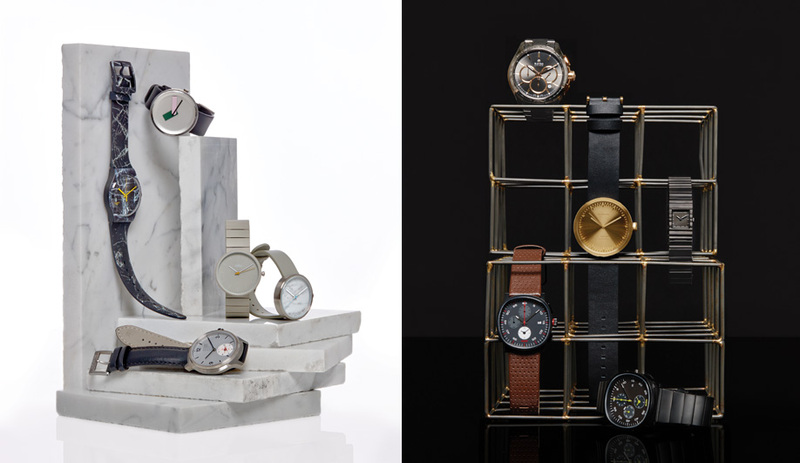 The issue also includes a Focus on designer timepieces from Issey Miyake, Rado, Swatch, Nomad and more. 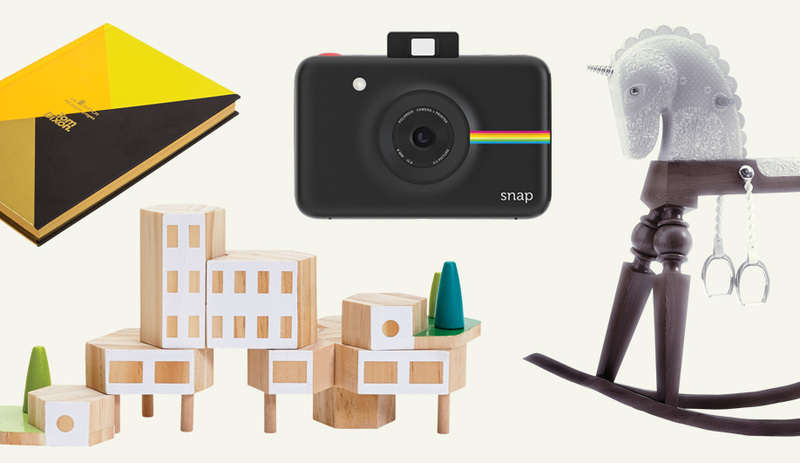 40+ gift ideas for the design conscious. 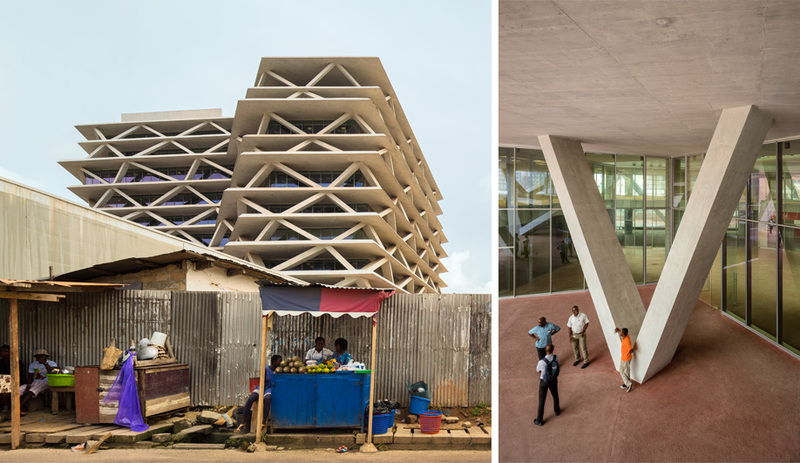 One Airport Square in Ghana is set to change the architectural landscape of the bustling city. 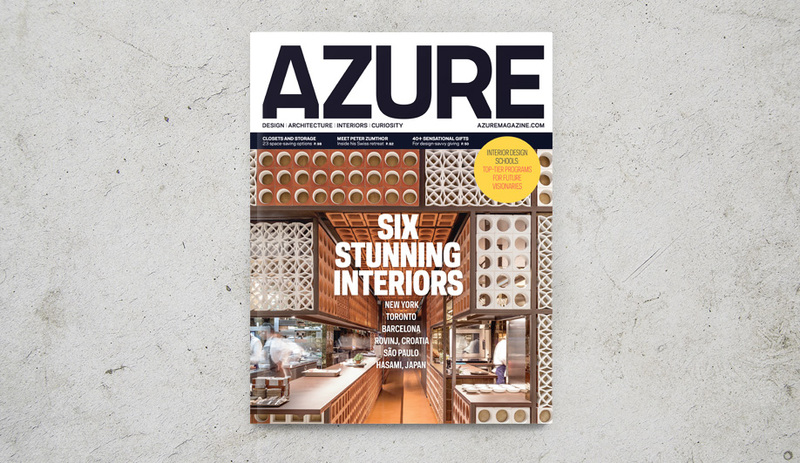 The November/December 2015 issue of Azure, now on newsstands, features six showstopping interiors from around the globe. Plus, your guide to the best interior design schools worldwide, and 40+ gifts ideas for the design-savvy. 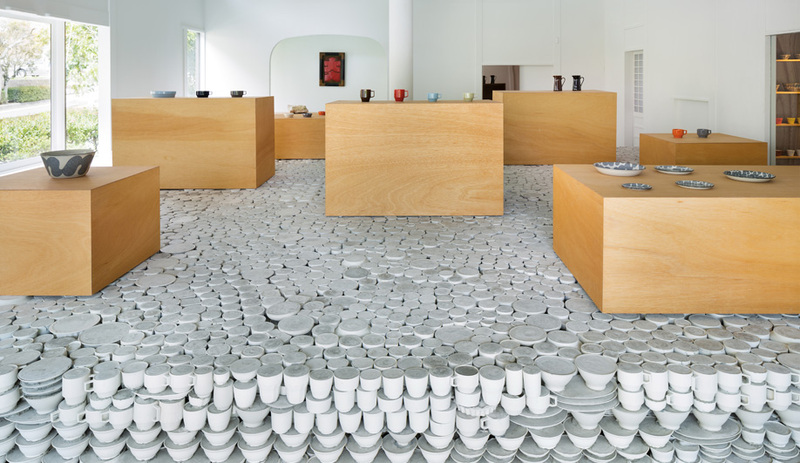 Now on newsstands, the November/December 2015 issue takes you inside six top interiors launched this year – from the exquisite Hotel Adriatic in Croatia, which has been given a new life with contemporary art installations, to a one-room ceramics shop in Japan that turns a massive stack of 25,000 ordinary cups and saucers into a raised platform you can walk on. In Toronto, Castor takes a more industrial approach to a bridal salon with steel tubing and concrete; and in São Paulo, a building clad in movable wooden fins contains both a restaurant and recording studio. 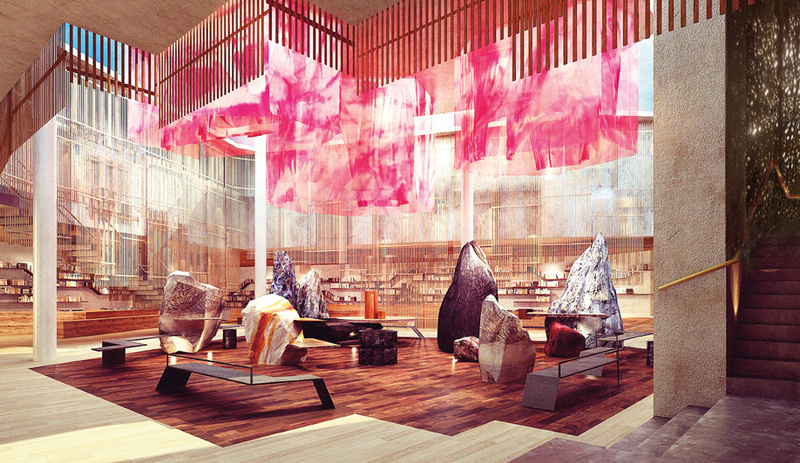 Thinking of applying to interior design school? We look at eight programs around the world that provide the best all-round education, a strong networking base, and hands-on experience with state-of-the-art fabrication tools. With the holiday season coming up, we’ve rounded up 40 of the best designer gifts of every size and type, including a collection of 3D-printed jewellery by University of Toronto graduates Mario Christian and Heng Tang, and a carbon-framed racing bike by De Rosa and Pininfarina. 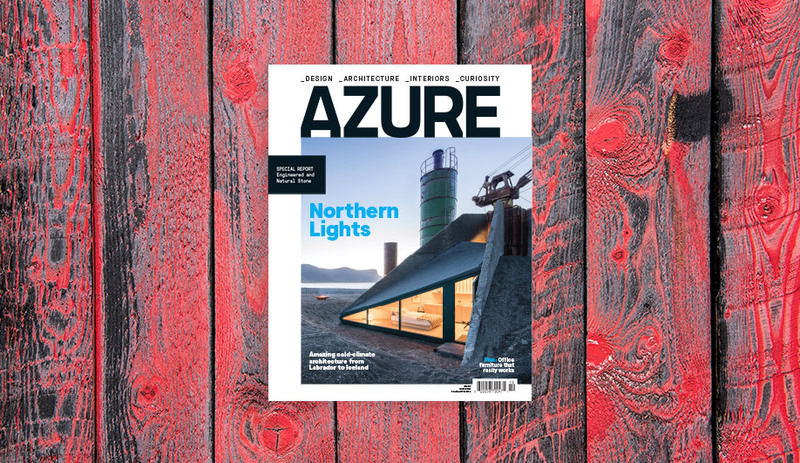 Also: Inside the Alpine studio of architect Peter Zumthor and his mentorship program; a look at One Airport Square, the most energy-efficient office building in Ghana, by Italian architect Mario Cucinella; and Bruce Mau talks about e-readers and the 20th anniversary of the 1995 classic tome S, M, L, XL. 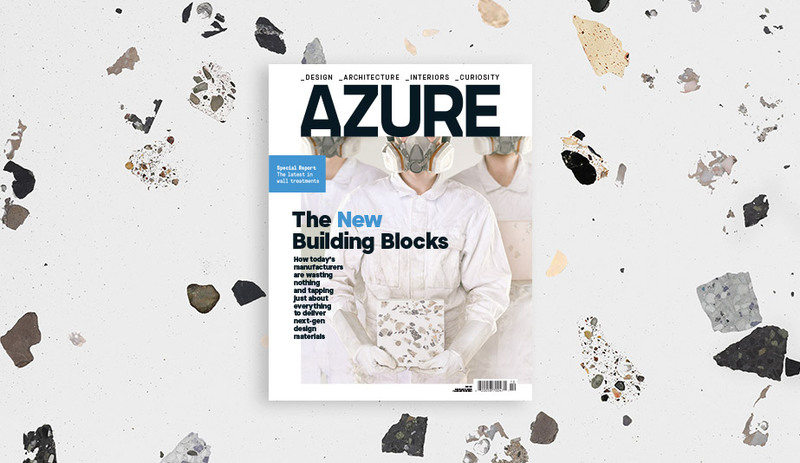 The Nov/Dec 2015 issue is now available in Canada, and hits newsstands in the U.S. on November 9 in the U.S. Get yours now: for single copies, go to shop.azuremagazine.com; to subscribe, go to azuremagazine.com/getazure.